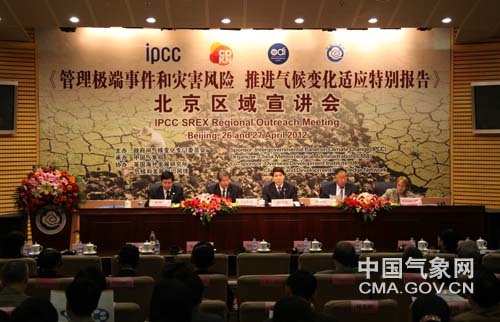 The CMA takes the lead for organizing activities in China related to the Intergovernmental Panel on Climate Change (IPCC) and research on climate change. 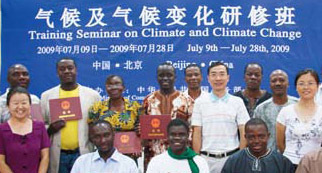 Under the auspices of the National Development and Reform Commission and the Ministry of Foreign Affairs, the CMA has participated in the formulation of China’s overall climate change response strategy, planning and policy, and has also been involved in international climate change negotiations, as well as launching climate change outreach and education campaigns. The 3rd World Climate Conference (WCC-3) was held in Geneva, Switzerland from 31 August to 4 September 2009. On 3 September, Vice Premier HUI Liangyu made an important speech at the Conference. He elaborated on the importance of work related to climate and climate change, extensively demonstrating that the Chinese Government attached great importance to the work on climate and climate change. Its accomplishments in disaster prevention, climate, and climate change in China fully show its determination and principles to continuously carry on the work on climate and climate change, and clearly identify the direction of development in this field. 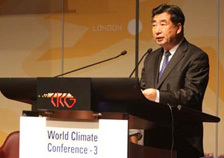 In June 2009, the China Meteorological Administration and the Chinese Academy of Social Sciences established a joint laboratory for climate change economics simulation. The laboratory issued Green Papers on Climate Change in 2009 and 2010 respectively - Annual Report on Actions to Address Climate Change (2009): Road to Copenhagen and Annual Report on Actions to Climate Change (2010): Cancun’s Challenges and Green Paper on Climate Change China’s Actions. Since 2004, the CMA has successively held the International School on Climate System and Climate Change for 7 consecutive years, with a total of 900 students both at home and abroad being trained. Training courses are held for directors of meteorological services at provincial and county levels, to promote knowledge on climate change.